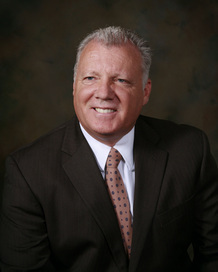 Attorney Mark W. Howes is the Managing Member of the firm, and the primary areas of his practice involve criminal defense and civil litigation. For two decades Mr. Howes has represented people through the criminal justice system. Prior to becoming an attorney, Mr. Howes spent twenty two years, first as a patrolman, then as a narcotics and homicide detective, with the Anne Arundel County Police Department. His experience with the police force and now as an attorney, allows Mark to take a holistic approach to the defense of individuals who have found themselves tangled up in the criminal justice system. Mark regularly helps individuals through charges involving DUI, theft, assault, and other criminal matters. Mark pairs his robust criminal practice with representation of those who have suffered injuries resulting the negligence of others. He works diligently to assist in obtaining compensation for those who have been victims of automobile accidents, dangerous premises situations, or other negligent acts or omissions. These victims often face debilitating physical injuries, as well as, financial and emotional struggles generated from massive medical bills, lost time at work, and the strain on the victim’s quality of life. Mark fights for these individuals to be compensated so that they may focus on rehabilitation and recovery. Mr. Howes also represents both individuals and business entities in a broad swath of civil litigation matters including labor and employment cases, contract matters, and the drafting of wills. Whatever their legal need or situation, Mark treats his clients with the respect and understanding they deserve, and zealously advocates for their best possible outcome. Mr. Howes is BV® Distinguished Peer Review Rated by Martindale-Hubbell® for his professionalism and ethics.